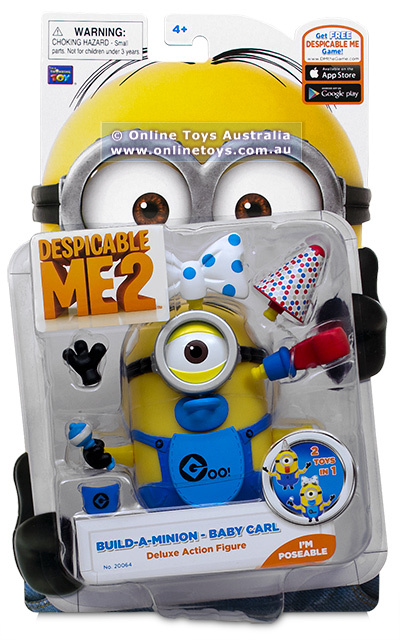 Despicable Me 2 Deluxe Action Figure Packs feature highly detailed and fully articulated characters that you can pose and play. Build-A-Minion Baby Carl is a 2-in-1 toy! Snap in parts allows you to build Baby Carl or Minion Party Version! Character measures approximately 12cm tall.